I think it’s no secret by now that I’m a big movie buff: the Oscars are like my super bowl. Unfortunately, much like this past Super Bowl, I predict this OScar season will be as equally disappointing. The only movies I’m very thrilled to see rewarded are Her, American Hustle, and Blue Velvet, and even American Hustle was good… but not… the best ever. Everyone’s hair was brilliant in that film. Brilliant. From Bradley Cooper’s tiny curls to Amy Adam’s locks of ginger goodness. It was all so lovely! 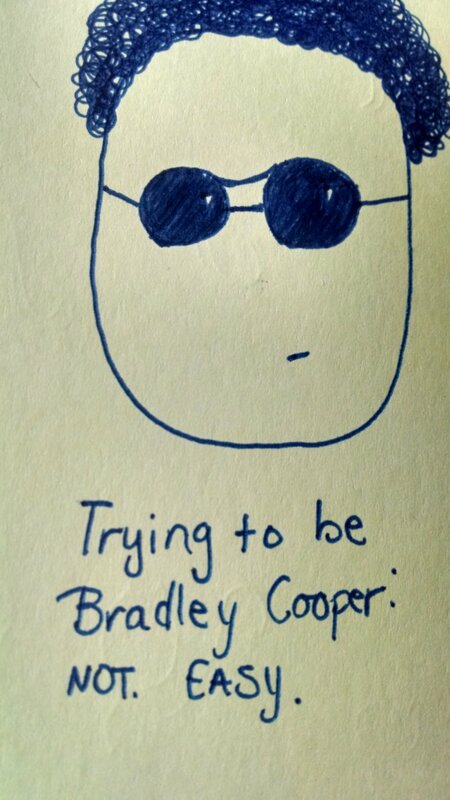 Hence, the Blob styling Bradley’s adorable curls. This entry was tagged American Hustle, Amy Adams, award season, Bradley Cooper, Christian Bale, Hollywood, Jennifer Lawrence, movie starts, Oscars. Bookmark the permalink.